The reality television star's return to D.C. comes months after she successfully lobbied Trump to commute the life sentence of a 63-year-old grandmother. Kim Kardashian West paid another visit to the White House Wednesday, this time to participate in a listening session with Trump administration officials, activists and criminal justice reform advocates about improving the clemency process. The reality television star's return to Washington comes months after she successfully lobbied President Donald Trump to commute the life sentence of a 63-year-old grandmother. "It started with Ms. Alice, but looking at her and seeing the faces and learning the stories of the men and women I’ve met inside prisons I knew I couldn’t stop at just one. It’s time for REAL systemic change," Kardashian West tweeted, along with several photos of her seated at the White House meeting. In June, she was able to convince the president to offer clemency to Alice Marie Johnson, who had been in federal prison more than 21 years after being found guilty in connection to a drug trafficking conspiracy. "Ms. Johnson has accepted responsibility for her past behavior and has been a model prisoner over the past two decades," the White House said in a statement at the time. "While this administration will always be very tough on crime, it believes that those who have paid their debt to society and worked hard to better themselves while in prison deserve a second chance." Among those in attendance Wednesday were Ivanka Trump, the president's daughter and a senior adviser, and Jared Kushner, Trump's son-in-law and a White House official who has led a push for criminal justice reform. 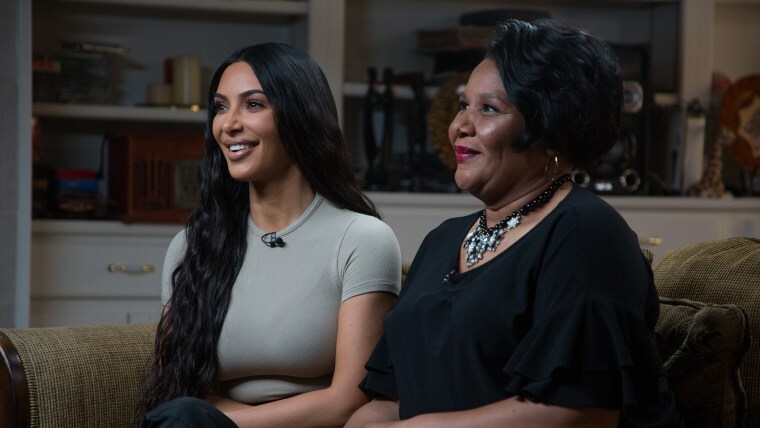 Kardashian West has made criminal justice advocacy a part of her work, and previously visited the White House to discuss prison and sentencing reform.